The interview.. Well, Congratulations on getting this far! When I applied to Warwick they had 1600 applicants and interviewed 400 odd people. If you have an interview you have done well so pat yourself on the back. 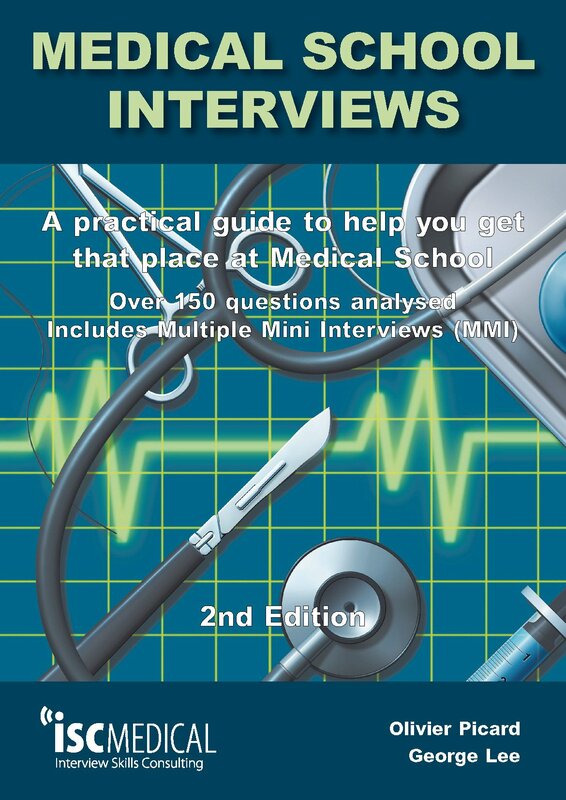 I am going to try and explain how I prepared for the interview and what my top tips are though please be aware that this changes by medical school, so CHECK on your school’s website what they look at. 9/10 they won’t tell you but it is always worth a check. Justice – to treat all people equally and equitably. Drill these into your head and think of scenarios where you can discuss how these are implicated, which brings me to my next point. There are others so go and find out what is going on in your area of medical interest. It’s important to have a grasp of what is current. I was never asked specifically “talk about a current health-related news story” but I brought examples of the stories I had heard into my answers. It shows you have a genuine interest in the medical field. I added NHS and Health sections to my news app and read them every morning. Helpfully, the NHS was going through the winter flu crisis as I was doing my interviews so I was getting news updates every day! I never went on a course. It is not worth it, honestly, you can practise at home just as well. I haven’t spoken to anyone on my course who went to an interview prep course. If it will help you with nerves then go for it but they are not the be all and end all when it comes to getting an offer for medical school. I used this one and it is amazing for giving you background information such as past medical scandals and cases to be learnt from. The night before my interview, I just got my mum to randomly open a page and ask me a question. My mum is a dance teacher so has about as much medical knowledge as your average joe walking down the street but it was about thinking on the spot and coming up with a well-structured answer. First thing first, DO NOT PANIC. I strangely felt no nerves before any of my interviews. I treated each interview station as a casual conversation (and indeed at kings, I ended up chatting to my interviewers about where they worked at King’s). If you are relaxed, you will find you come across more approachable and that’s a key attribute to a doctor, isn’t it? That does not mean that feeling nervous is a bad thing. Indeed in my first station I was moving my hands around whilst talking and as I looked down I realised they were shaking like I was in a fridge. I carried on as normal but promptly decided to stop waving my hands around. The interviewers know you are nervous, they were once in your position too. Treat them like you were talking to one of your lecturers/ teachers that you know already. Greet them as you come through the door and say thank you as you go. Warwick asks that you do not shake the interviewer’s hand but if there is no mention of a rule, extend your hand to shake theirs. It shows that you are again approachable and makes you seem confident, even if you are paddling rapidly upstream underneath. When the question is asked, give yourself three seconds before you answer. Diving into an answer without thinking about it will not see you well. Think quickly about what they are asking you, does it affect any ethics, does it relate to a health story, can you demonstrate an example that you have shown yourself? You don’t have to formulate the entire answer straight away but giving yourself that three seconds to breath and think will enable you to present a well-structured answer instead of ending up in spirals. The end of your medical career right? Wrong. I mucked up so many times in my KCL interview. The first station I completely did the opposite thing they asked me to do and I also completely screwed up another answer in a second station. However, rather than ploughing on, I apologised and corrected myself. This is so important. You are going to muck up as a doctor, that’s a given. I walked out of my KCL interview shrugging my shoulders. I have to admit, I did not give 100% because I had my Warwick offer but low and behold, I was offered a place on the GEM course. A course of only 28 spaces to 1800 applicants…. If you muck up, admit it and correct yourself. It shows you do not have a big ego and are honest, and these are good attributes for a doctor to have. Some interviews have actors than come in and act like a patient. You are not expected to show off medical knowledge at this stage. It is about showing empathy and how you interact with humans. I found this station the most terrifying as it was my first station ( at my unspecified interview) so it was completely unexpected! Move your chair to how a GP has their office orientated. 90 degrees to the patient. If the chair is behind a table, move it. Keep calm. Remember, the med school do not want to see you fail. Treat the patient as if you were handling anyone else that was angry, upset, etc. Eye contact. Make it. If you find this hard, I recommend looking at a point slightly to the left of the ear. This makes it feel like you are looking at them but you won’t have the pressure of the eye contact. Slow your voice. Everyone talks fast when they are nervous so talk at half the pace you normally would, this should even your pace out. You would be surprised at the levels of scruffiness I saw people in at my interviews. Get a new suit if your suit is too small/ faded/ too big. You should be wearing a suit ( minimum blazer and trousers for guys and blazer and dress for girls). Present yourself as you would do a job interview, after all, isn’t that what medical school interviews are? Tie long hair back off the face. It does not have to be up, but you want your face clear and in a style that you don’t have to fiddle with it constantly. I had my hair in a half up half down fashion so it looked smart but I felt comfortable. Keep makeup to a minimum. A light foundation, mascara and a neutral eyeshadow should be your maximum. Go as you would do if you were a doctor on the wards. Make sure skirts/dresses are an appropriate length as well. Practise standing up and sitting down in them, any chance of flashing and don’t wear it. Lads, have a shave (if you do shave) the night before to make sure that you look smart. If you are going for Movember, give the tach a bit of a trim but you don’t have to get rid of it. It may even be a good topic to talk about in your interview! I would recommend pairing a dark suit with a light shirt. I wore a black suit with a light blue shirt underneath. Of course, it does not matter too much but it draws attention to your face and makes it look less like you are attending a funeral. I would pack everything you need the night before. Any certificates make sure you have photocopies of. I always brought ID with me to my interviews even if they didn’t ask, just to be on the safe side. It’s always a good idea to have tissues, mints and water for when you are waiting. You will always have that pesky sneeze before, or if you are like me, have a full blown cold and talk through your nose for every station…. 1) Are you the president of the united states? Great, but only mention it if it’s neccesary. You may be really proud of your job/bachelors/masters/PhD but you do not get any extra marks for randomly dropping the comment unless you are using it to demonstrate a point. This is not a good start and despite you dropping that Job title , it earns you no extra marks because the interviewer was not asking about your job now , they were asking about your work experience. All it did was waste your precious time. “Teamwork? Ok, an example would be when I was the President of the USA and I lead a team to manage the budget of the state. It was challenging as I had to make sure the group co-operated which was hard due to conflicting interests but I managed it well by maintaining a sense of respect for each other and intervening when there was any amount of hostility. I also encouraged younger members of the team to input their reasoning as I know it is important to build the confidence of the junior members so that they can develop their own career paths so that the USA can continue to run smoothly” (That was the biggest load of made up waffle I have ever written). This is a better example as although you have name dropped your job, you have answered the examiners question. You would have scored the exact same marks even if you had given the example but didn’t even mention you were the president. This is so important as going on and on about yourself and your acheivements not only looses you the marks, but can make you come across as braggy and self-absorbed. Not something a future doctor should be. So STICK to what the question needs of you. 3) Don’t try and be Donald Trump. Continuing with the USA president theme, remember you are not invincible. You will struggle and you probably have done in the past. Most GEM students have not got sparkling A levels and have seen some downfall in their past ( I mean look at my tack record) and yet , it’s said that GEM’s make better doctors. Recognise that you have stumbled, embrace it and think about what you have taken from it. What lessons did you learn? What support did you seek? Bragging that you are perfect and have never failed a thing nor will ever fail a thing may make you think Med schools will like you , but it puts you out of contact with what medicine is really like. Read ANY medical memoire, every doctor will demonstrate how they failed , heck Henry Marsh devotes a whole chapter to it and basicaly opens the book with what he did wrong ! The stumble does not have to be academic, it can be about a promotion, not making the sports team. Try and steer clear of personal issues but have that example. I can’t stress this point enough. It’s ok to not be perfect. 4) Be a nice human being and respect everyone you see on the day. The receptionist, any students hanging around, lecturers, interviewers. Most medical schools do not place “spies” in their waiting rooms but any rude behaviour may still be noted, especially if it’s to a person associated with the medical school, including any current students helping out on the day. You can be the president, but these people are interviewing you for the medical school you want to go to. Prove to them why they should let you in. When you qualify and disrespect anyone in the hospital that is not as well qualified as you, you will not be liked and you will find it harder to maybe swap the odd shift or two. That also goes for people younger than you. As a GEM student you will be learning with people of all ages and indeed when you qualify , there will be senior people that are younger than you. Treat everyone as you would wish to be treated. No one is inferior to you. 5)Don’t feel like you are not good enough. You will speak to people who have PhD’s , were CEO’s or have won every prize under the planet. This does not matter, when you get in , everyone is equal in the med schools eyes, even the president would not get special treatment. Remain confident. Go in and prove why they should pick you over the person bragging in the waiting room. You are good enough to be here , no matter how you feel. Good Luck. You will be fine. I remember my interviews like they were yesterday and how nervous I was the night before. They go so quick and I looked forward to my 20 chicken nuggets afterwards to get me through the day. Whatever happens though, you got this far and that’s an incredible achievement. Well done!